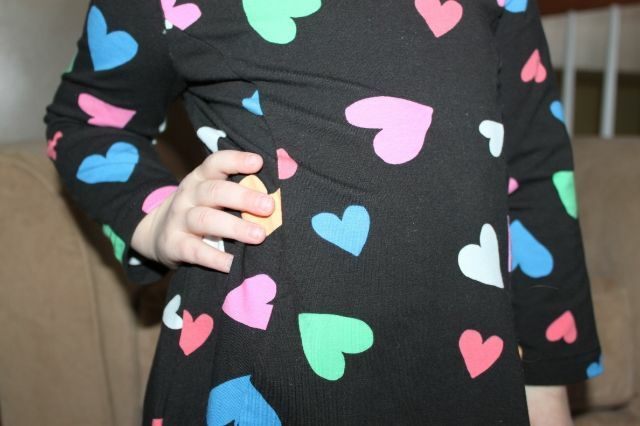 How adorable is this heart dress? 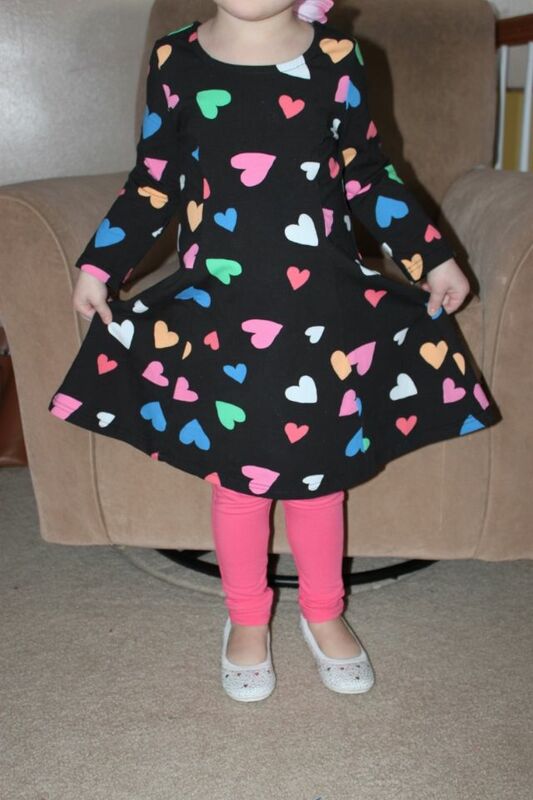 It was a no brainier when we saw it in the January FabKids look book as my bean loves two things, 1) hearts & 2) the color pink. 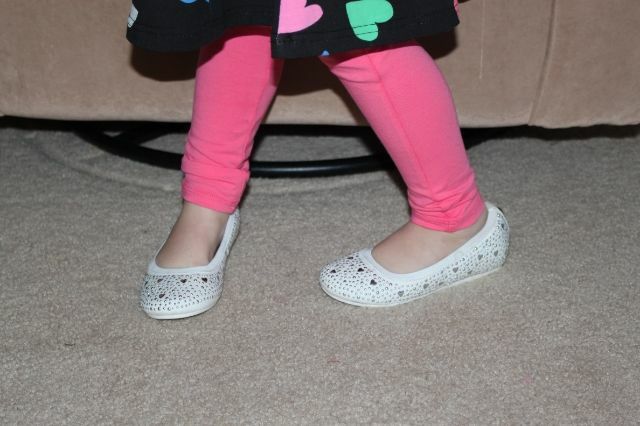 I love that when you shop at FabKids you get the complete look. It's takes all the styling timely chat out of the mix ("Do you want to wear tights today?" "What color leggings do you feel like wearing babe?") and your kids just get dressed. 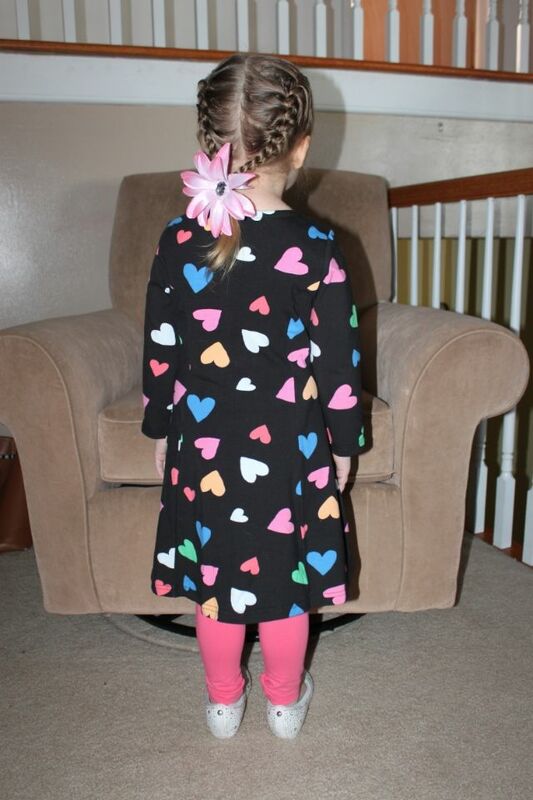 To finish her look off she wanted two braids, a flower bow, and white "pretty girl shoes". You got it mini me, I'm on it. What do you think of buying complete outfits and not just items of clothing?